Combine with Best of the Canadian Rockies and get 10% off the full price! 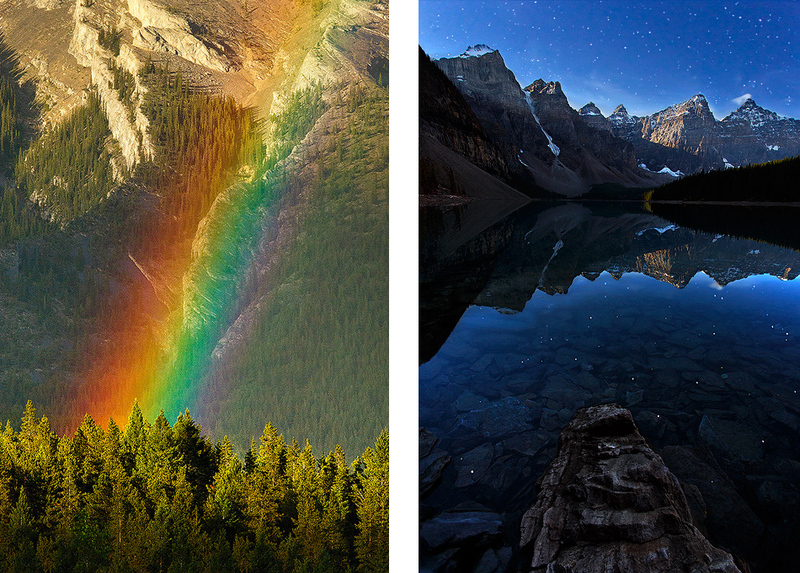 A land that needs little introduction, the Canadian Rockies are a landscape photographer’s dream. The opportunities for photography are endless, from still, turquoise colored lakes, rushing rivers, towering waterfalls and deep canyons, to soaring, snow capped mountain peaks and beautiful night skies. However, it is in the back country where the real magic lies. It harbours natural treasures of a beauty one would not have thought could exist. 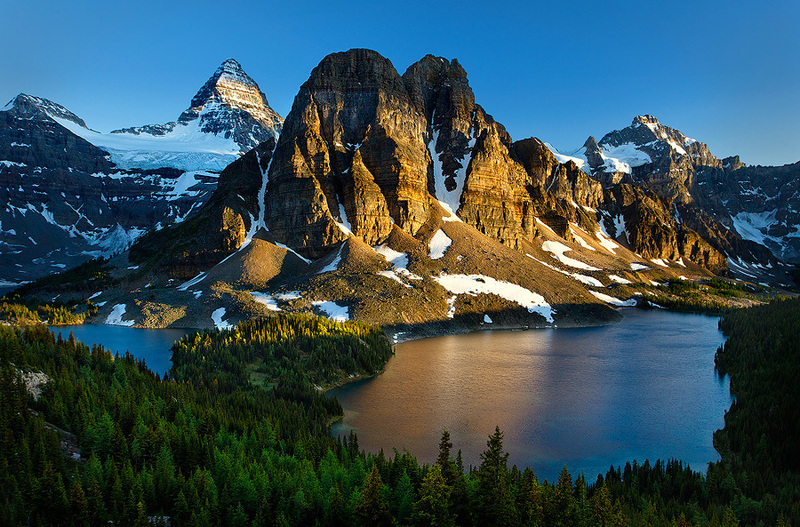 British Columbia’s pristine, wild and utterly beautiful Assiniboine Provincial Park counts as one of the most spectacular, breath taking back country locations the Rockies have to offer. Join us on a helicopter ride into the backcountry of Assiniboine Provincial Park. From high above, you will have the opportunity to gaze in awe at the jagged, never-ending mountain ranges. This is the time of the year when the larches turn golden, and we will be lucky enough to capture them as they beautifully complement the majestic mountain scenery! My goal is for you to come away with great images which portray the beauty and unique nature of this incredible part of the world. I will take you to all the locations I have identified as the most promising for rewarding photography and we will visit these only when the quality of light is most conducive for compelling images. Our small group size means that, as you photograph I will be able to give you dedicated in the field instruction on all aspects of photography, ranging from the technical to the creative. Although we will be spending as much time as possible in the field, it is important to balance this with an intense program of review sessions, lectures and processing sessions so that, as our workshop progresses, you have the opportunity to appraise the photographic progress you are making, and identify those areas which need more work. I will be putting much emphasis on the creative aspects of photography such as composition and developing a vision. Another area we will be focusing on is processing and developing a workflow, which forms an extremely important part of photography, especially in the digital age. All of this and more while you have the opportunity to photograph in world class settings. Day 1, September 15th: We meet at 1:30 pm for lunch at our hotel in Banff, where we have the opportunity to meet and get to know one another. I will give you an overview of the activities for the following days and answer any questions you may have. This will be followed by a presentation on how to photograph the mountain landscape and then our first sunset shoot in Banff National Park! We return to our hotel for a well deserved dinner, and rest in preparation for our action packed adventure into Assinboine! Day 2, September 16th: We are up bright and early for our sunrise shoot, and following breakfast we are off to catch our helicopter ride into the wild, breathtakingly beautiful mountain wilderness of Assiniboine Provincial Park. We will stay in the rustic Naiset Hut, which is a short walk to Lake Magog, over which towers by 1,525 m Mt. Assiniboine, the “Matterhorn” of North America. This large log cabin houses a total of 8 people, but we will have it all to ourselves! And it certainly will be a lot warmer and more comfortable than camping out in the cold September nights! This is the time of the year when the larches have begun to turn golden, and the mountain peaks are covered in a dusting of snow – a magical scene waiting to be captured. After having settled in, and an early dinner, we are off to our sunset location. If the conditions are conducive, we will stay on to capture the night sky. There is virtually no light pollution here, so expect a view to remember. We return to our hut in preparation for an exciting day in Assiniboine! Day 3, September 17th: We rise early for our full day of adventure and exploration in Assiniboine! For our sunrise shoot we embark to capture the alpenglow on beautifully shaped Mt. 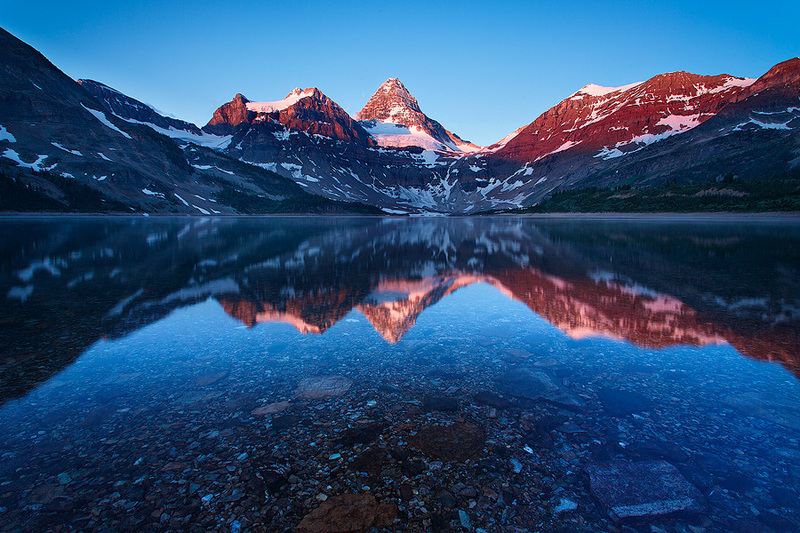 Assiniboine, reflected in the still waters of surrounding lakes and ponds. We spend the day exploring the snow-capped mountains, lakes, waterfalls, streams and valleys of what surely must be one of the most beautiful areas of the Canadian Rockies. In the afternoon we visit Assiniboine Lodge to rest and, more importantly, to enjoy their great tradition of cakes and lemonade! For our sunset shoot we embark on a longer hike, capturing the last light of day on some of the most awe-inspiring scenery this planet has to offer. We will take advantage of any opportunities for night photography and, if we are lucky, we may even glimpse and capture the aurora! We will return to our hut in the dark, with the stars and the camaraderie of our group keeping us company along the way. 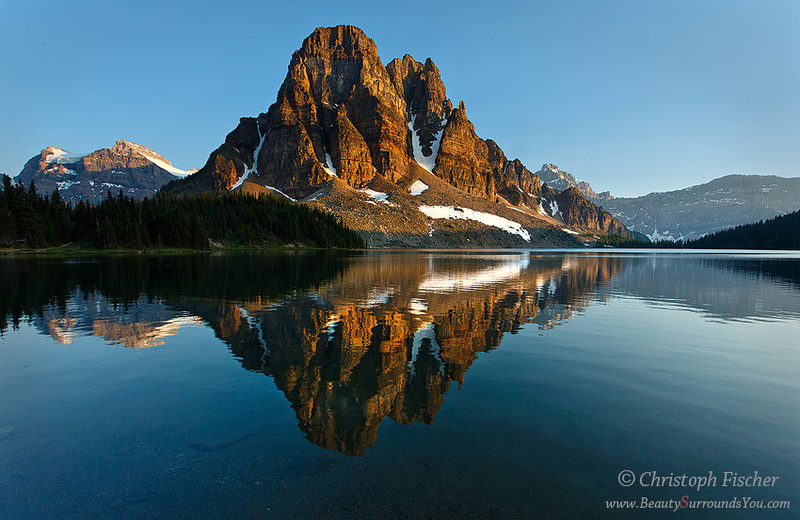 Day 4, September 18th: After our sunrise shoot we unfortunately have to get ready to bid Assiniboine farewell. Following our last sunrise shoot, and after a hearty breakfast, we pack up and head to the heli pad for our flight back into civilization. We have a last celebratory lunch together, where, in the company of newly found friends, we look back at our back country adventure which is over much too soon! • Double occupancy hotel accommodation for 4 nights , 2 nights in Assiniboine Provincial Park. • Return helicopter flight to Assiniboine. • Food in Assiniboine Provincial Park. • Flights/transportation to our hotel in Banff. • Banff National Park Pass. • Food outside Assiniboine Provincial Park. • We will be sharing transport within Banff National Park. The cost of gas will be shared among the participants. There will be some moderate to more difficult hiking involved in Assiniboine Provincial Park. One of the hikes will involve elevation gains of up to 365 m (1200 feet) or more, involve rocky terrain, and will take 2.5 hours or longer. We will also be spending some of our time hiking in the dark (before/after sunrise/sunset). Thus, a moderate or higher level of fitness and some hiking experience is recommended. Each participant will be asked to sign a standard liability waiver before participating in this workshop. • Memory cards and batteries. • A quality, stable tripod – your tripod legs should not be fused to the center column. • A solid tripod head which allows for easy adjustment of your camera’s position. • A set of lenses, especially wide-angle, but also telephoto. • A laptop with installed Photoshop, or other editing software, for our processing sessions. • Head lamp with red light for walking at dawn and dusk/night. • Clothing, hiking gear and a sleeping bag (for Assiniboine): A detailed list will be supplied upon registration. We meet in Banff, Alberta. Banff is around 1 hour drive from Calgary and there are shuttles which routinely run between the airport and Banff, as well as other towns in the Canadian Rockies.